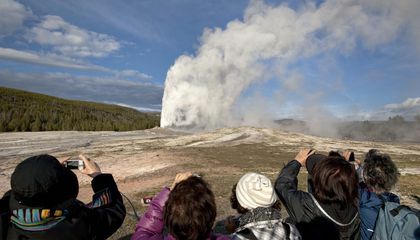 A thermal spring near Old Faithful in Yellowstone National Park has erupted for the fourth time in the last 60 years, a park official said Thursday. 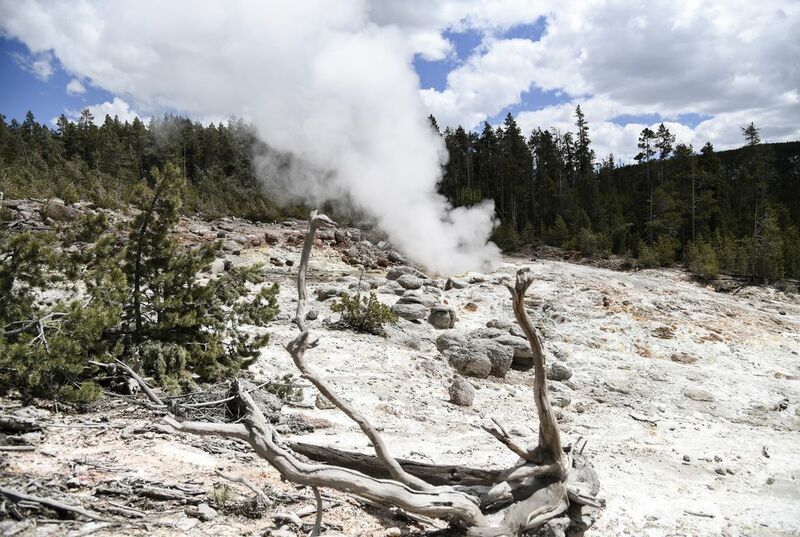 Ear Spring on Yellowstone's Geyser Hill went from being dormant on Saturday to spewing steam and water between 20 and 30 feet (6 and 9 meters) high, a height not recorded since 1957, said park spokesman Neal Herbert. It has since continued to erupt at a near-constant height of about 2 feet (0.6 meters), he said. Ear Spring, named for its resemblance to the shape of a human ear, is one of dozens of geysers, pools and hot springs in Yellowstone's Upper Geyser Basin — among the park's top attractions that feature the popular Old Faithful. Ear Spring last erupted in 2004. Ear Spring isn't the first dormant geyser to come to life this year - in March, the world's largest active geyser began the first in a series of eruptions for the first time since 2014. Steamboat geyser's eruptions can reach heights of 300 to 400 feet (91 meters to 122 meters), compared to Old Faithful's 130-foot (40-meter) average. Very cool article, I found it really interesting that the geysers had a sudden "urge" of activity. I wonder why this is? Very interesting article! I wonder what has lead to the increasing numbers of changes in Yellowstone's thermal basins, in recent years. Are these changes happening more than ever, or is this just a cycle?